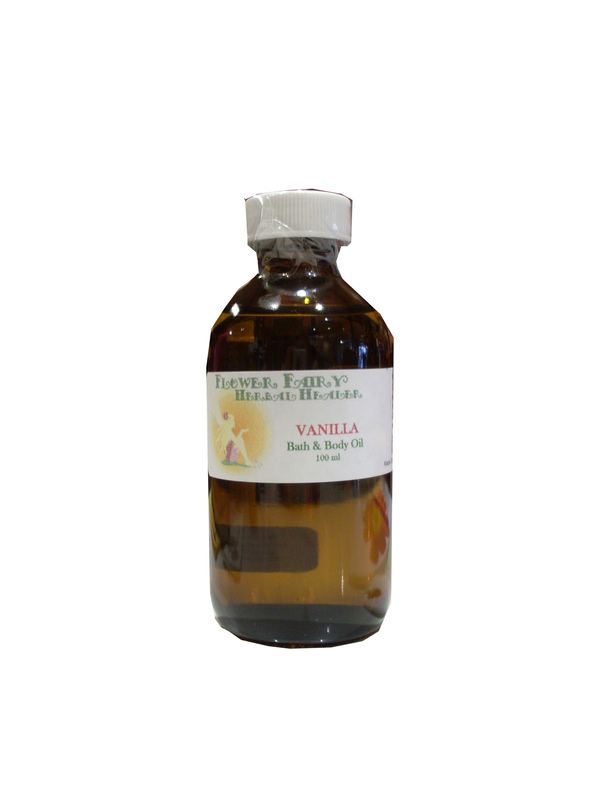 Description: A sweet, relaxing, uplifting, warming, silky, vanilla scented oil. Can be used as a bath and body oil or apply a small amount to damp skin after a shower. Use on skin to soften & gently scent & moisturize. It is a lovely lightly scented massage oil. Recent studies have highlighted that the smell of vanilla & pumpkin pie have increase male sensuality. Packaged in a high quality, beautiful cobalt blue or dark glass bottle to keep the product optimally therapeutic and safe of any plastic residue from plastic bottles. Directions: Use on skin to soften and gently scent & moisturize. Can also be used to spot treat dry feet & elbows. Can be used as a bath & body oil or apply a small amount to damp skin after a shower. It is excellent therapeutic massage oil, used by many professional massage therapy clinics. Shake well before use. To extend shelf life store in fridge. Ingredients: Cold-pressed Sunflower Seed oil, 100% pure essential oils of Vanilla, 400 IU Natural Vitamin E Oil & Jojoba Oil.